York University’s history and politics professors continue to celebrate Canada’s sesquicentennial with the launch of two edited collections featuring Confederation scholarship. These collections were completed as part of an array of projects to celebrate Canada’s 150th anniversary, projects that were executed under the leadership of history Professor David Koffman, with support from his colleagues, the administrative staff in the Department of History and the 150CAN@YORK committee. Globalizing Confederation: Canada and the World in 1867 is co-edited by politics and social science Professor Jacqueline Krikorian and history Professors Marcel Martel and Adrian Shubert. This anthology began as a workshop co-sponsored by the History Department and the Avie Bennett Historica Canada Chair in Canadian History. Sixteen scholars from Australia, Belgium, Canada, Chile, Germany, Ireland, Spain and the United States met on York’s Keele Campus in the fall of 2016 to deliver papers that focused on how people, nations and governments understood the union of British North American colonies in 1867. The collection includes scholarship by several members of the York community, including Roberto Perin, who examined the Vatican’s perspective; Alban Bargain-Villeger, who considered the view from France; Willie Jenkins, who examined the Fenians and Confederation; Gabrielle Slowey, who analyzed the failure to acknowledge the rights of Indigenous peoples; and Jacqueline Krikorian with David Cameron, who together analyzed American views of Confederation. The second collaborative project involved Krikorian and Martel teaming up with David Cameron, Andrew McDougall and Robert Vipond from the University of Toronto (U of T). Entitled Roads to Confederation: The Making of Canada, this two-volume edited collection includes two original pieces and 38 selections that had been previously published over a 145-year period. “The editors sought to bring together not only the best research on the 1867 project, but to also unsettle the traditional boundaries of the field by including scholarship that addressed those people and communities that were, by and large, traditionally excluded in the Confederation literature,” said Martel. 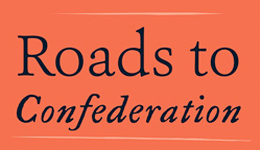 Research addressing the failure to acknowledge the rights of Indigenous Peoples during this period is included in both volumes of Roads to Confederation. This project was published in English by the University of Toronto Press and in French by Les Presses de l’Université Laval. To begin addressing these issues, this project includes 29 selections that were translated into French or English for the first time. The Advanced Translation Project/Project Management at York’s Glendon Campus, under the supervision of Professor Lyse Hébert, was involved in translating some of the work for the project. The foreword was co-authored by York University President and Vice-Chancellor Rhonda L. Lenton; Mamdouh Shoukri, professor and president emeritus of York University; and Meric S. Gertler, president of U of T. The project received generous funding from the Canada150 funds from York University and U of T, the Robarts Centre, York’s Department of Politics, the Political Science Department at U of T, the Faculty of Liberal Arts and Professional Studies at York and the Avie Bennett Historica Canada Chair in Canadian History.